It's pretty obvious by now....and it was only a matter of time before I expressed it in "scarf-form" for SuperD on his biking trips to keep his little italian chin warm from the chilly northern irish winds! 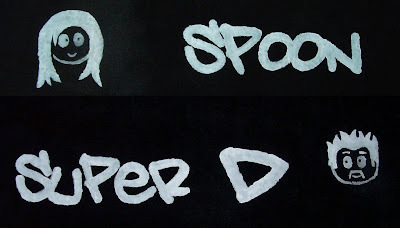 I loved D's sooo much that i made a spoon-version too! 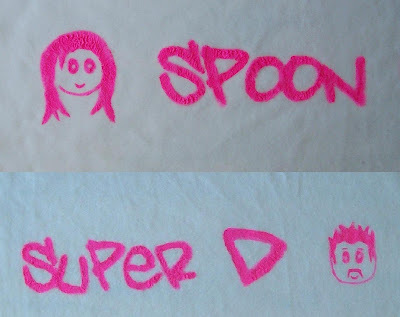 Made the same way with neon pink paint instead...I also added some pearlescent pink beads at the ends, i offered this option to SuperD for his......but......he decided to pass. His loss!